Whether your building is new or old we can analyze your cooling system to see where there is room for improvement or install a brand new system. Reduce your energy bills and prevent down time with new air conditioning systems or regular maintenance to your existing mechanical systems. We also offer 24 / 7 emergency service on your existing equipment and heating system. 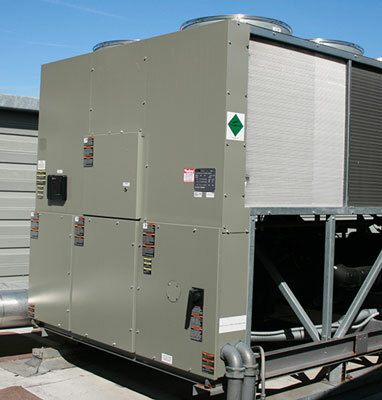 Air Conditioning systems to provide uniform cooling, ventilation and humidity control throughout any size building or complex. We can supply systems and parts from a variety of manufacturers. As with most mechanical systems there are many parts that need to be maintained and repaired on a regular basis. From problems with compressors, condensors, metering devices and evaporators to issues energy efficiency; MSA will work with you to make sure your system is operating properly. We are on call to serve your mechanical systems needs any time / all the time. •Evaluate energy management systems to maximize energy efficiency and comfort levels for building occupants. Keep in mind that your air conditioning system must work harder to remove extra heat generated by lighting, equipment, computers and people. Adding more energy-efficient equipment provides an added benefit of lowering utility bills by reducing the load put on your air conditioning system.